American rapper and songwriter who is best known for his association with the Southern hip hop group Three 6 Mafia. Juicy J founded the music band along with other members of the group in 1991 and went on to win an Academy Award for Best Original Song for “It’s Hard out Here for a Pimp” in 2006. 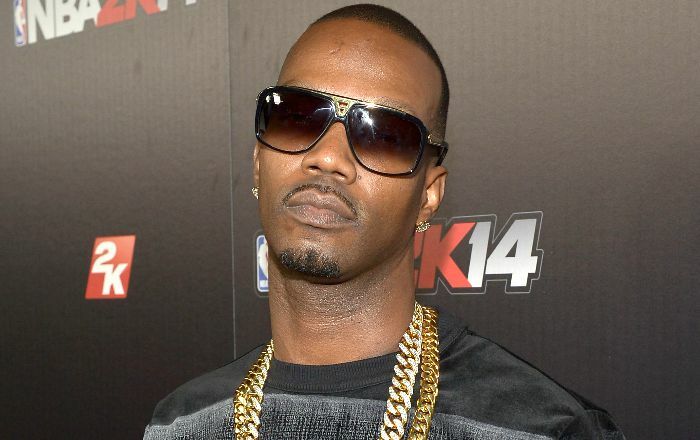 Juicy J was born on the 5th of April 1975, in North Memphis, Memphis, Tennessee, United States of America. He is currently 44 years old. Juicy J has been dating Regina Perera for years now. They share a daughter together, Kamai Houston. Juicy J released his debut studio album, Chronicles of the Juice Man in July 2002. The album peaked at number 93 on US Billboard 200 and 17 on US R&B chart. Juicy J made his acting debut in a minor role in the 2005 crime drama movie, Hustle & Flow. In 2016, Juicy J appeared on the MTV reality show, Cribs. He has an estimated net worth of $25 million. That money comes from his albums sales, endorsement deals, and tours. He lives in a $6 million luxury house in Beverly Hills that is comprised of enough bedrooms and bathrooms, swimming pool, gaming room, and home office. He owns Rolls Royce Phantom ($145,000) among other cars. In 1991, he formed a hip hop band, Three 6 Mafia along with DJ Paul and Lord Infamous, rappers Crunchy Black, Gangsta Boo and Koopsta Knicca. In 1995, the group released their first official album called Mystic Stylez. Since then the group has released 8 albums. In 2006, Juicy J, along with DJ Paul, Crunchy Black, and Frayser Boy, won an Academy Award for Best Original Song for “It’s Hard out Here for a Pimp” at the 78th Academy Awards. He was featured in Katy Perry’s single “Dark Horse”, released on September 17, 2013. On September 18, 2017, Juicy J released a mixtape Highly Intoxicated featuring production largely by $uicideBoy$. He loves drinking orange juice. He became a member of Wiz Khalifa’s Taylor Gang in 2011.